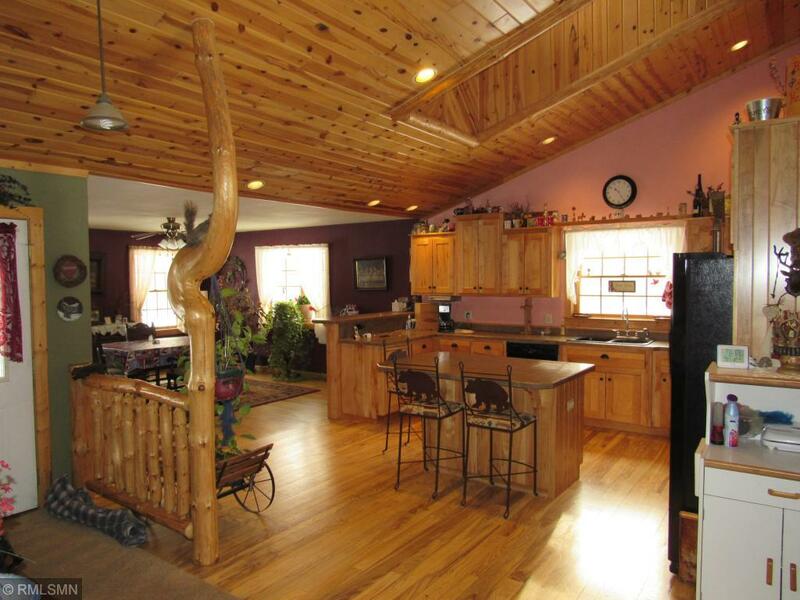 CUSTOM BUILT 4 BEDROOM, 3 BATH HOME ON FIVE ACRES, BUILT IN 2006. HOME FEATURES A LARGE COVERED PORCH, FORMAL DINING ROOM, LARGE KITCHEN WITH MAPLE CABINETS AND HACKBERRY HARDWOOD FLOORS, CEILING TONGUE AND GROOVE KNOTTY PINE, FIREPLACE IN THE LIVING ROOM WITH A LARGE FAMILY ROOM DOWNSTAIRS, OFFICE/ HOBBY ROOM, MASTER BATH WITH A JACUZZI TUB AND A PRIVATE SCREENED IN PORCH. ENJOY THE WILDLIFE IN THIS VERY PRIVATE SETTING CLOSE TO TOWN, LAKES AND HUNTING. LARGE GARAGE TO STORE YOUR TOYS. Gilchrist Realty is the brokerage office representing the seller for this listing.